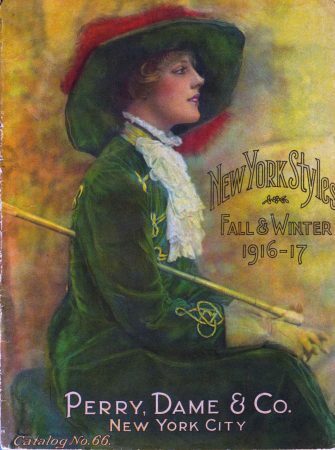 “We do not handle anything but wearing apparel for Women, Misses, and Children, and on this account we think we are better equipped than any other Mail Order House we know of to furnish you with clothing best suited to your individual needs.” So said this New York company, offering the height of (mail order) fashion for ladies in 1916 – 148 pages of beautifully illustrated, confident early-20th femininity. The lovely model on the cover the catalog is inspiring even 100 years on, and sensitively rendered and printed to match. 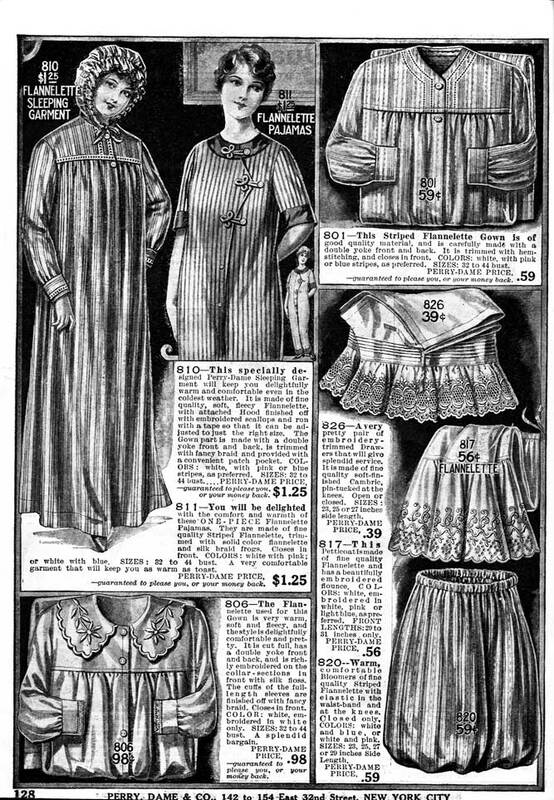 But today, it’s “Ma in her kerchief” (or those modern flannelette pajamas) which we’re focussed on. Simple, comfortable, and promised to “keep you as warm as toast.” Which is just what’s wanted on a long winter’s night, in bed with visions of sugarplums soon dancing on your head. And so too, the Catalog Blog takes a long winter’s nap – not too long however, as we’ll return early in 2018 with more cool items from 100 years of American Mail Order catalogs. We welcome your input and comments, and please share The Catalog Blog with your friends, won’t you?